We’ve heard a lot about tech IPOs in recent weeks thanks to an instant picture-taking app from Venice Beach going public. Tech companies, some worth as much as small countries, leave many open questions for investors, users and brand managers alike. In preparation for the show, I wrote down tips on how to deal with the associated brand risks for when your tech startup finally hits the jackpot. You never know: A merger, massive round of funding or even the mighty IPO might just happen to you next. Many consumers (or “users”) question high valuations, especially those of tech companies whose products they use on a daily basis. It is difficult to grasp the financial value in broader economic and strategic terms with tech companies that don’t show big profits, yet are worth billions of dollars. This often makes younger consumers belittle and ridicule apps they used to love. It changes perception. On top of that, it happens that millennials, especially teenagers, are not known for being brand loyal. If they are your power users, communicate your shared values with them, because a billion-dollar valuation is likely not a value they will automatically cling on to. Now, they won’t delete your app unless the brand itself shows obvious signs of change, but once it does, then they’ll jump ship with the simple swipe of a fingertip. Be ready to over communicate to your users during the time of IPO. Don’t solely focus on talking to the press. Instead, ensure your users hear from you in your proven and authentic tone. During these times of press storms, “surprise and delight” the ones who made you successful in the first place. They need to – and deserve to – hear from you. When Google filed its IPO back in 2004, it integrated mathematical (aka “geek”) humor all the way into their filing papers. The value of the offering was equivalent to the mathematical constant e (2,718,281,828). It was a great way to be true to its brand aura even during this risky and otherwise very dry period, giving brand advocates buzz to share. IPOs of young companies easily result in company culture breakdowns. With significant growth and financial backing often comes a hiring spree with leadership changes, added levels of management, and plenty of processes, not to mention the formation of a board of directors. This is the time of internal employee joy – and fear. Now that the financial success is taken care of, go back in time and think about what type of company you wanted to create in the first place. Have you reached the goal of birthing your dream company, beyond in financial terms? What culture did you want to create? How did you want to inspire your staff? Write down those values at this very important moment in your brand’s history and have your marketing and communications team draft a plan to reinstate them into the company at this time of change. Understandably, during times of an IPO, they are all slammed and are already working overtime. That indeed makes this additional project even more important; they will thank you later. Being a true brand that is met with admiration is all about trust and authenticity, both of which have to come from the top in order to trickle down from the brand to its users. An app is both an extremely personal as well as an extremely emotional experience. Users focus on their own tasks and the app is mainly a facilitator in their lives, from booking a room, to taking a picture, to sharing their world with others in their circle. This personal experience is never about the company that created the app; it’s about the user and other users. An app is not a fashion brand that users wear like a badge of belonging; instead, most tech brands are functional extensions of daily lives and the user content a reflection of their own personalities. The sudden press surrounding an IPO, a high evaluation, a huge financial investment boost or a merger will create a fear of change in their experience with the app and a fear of a change in the integrity of the brand. With money often comes corruption, or so your users have heard. Make sure they know where you are heading with the company and why all of this talk about a big financial boost will result in an even better personal experience for them. As you approach that next big financial step, remember that no one ever loved a unicorn for its valuation; they love unicorns for their magic. 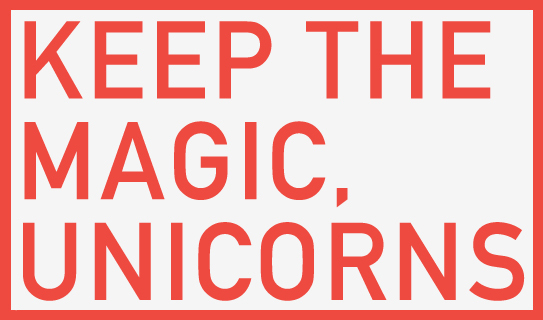 Keep that brand magic as it will save your company in the long term.